Marcel Bich launches the BIC® Cristal® ballpoint pen in France. The BIC® Cristal® pen is the first high quality ballpoint pen at an affordable price. It is sold under the name, a shortened and easier recognized version of the "Bich" name. Launching of BIC® Education in France, a digital educational solution for primary school teachers and their students. 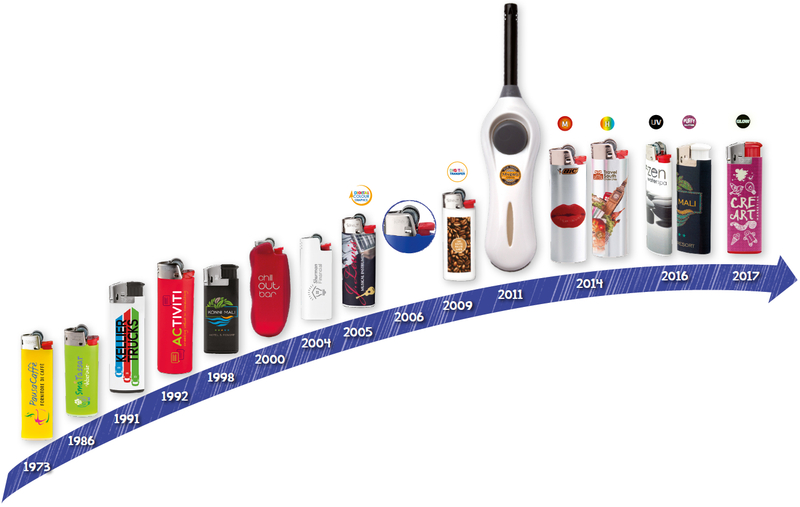 BIC Graphic is the division in charge of advertising and promotional items for the BIC Group. 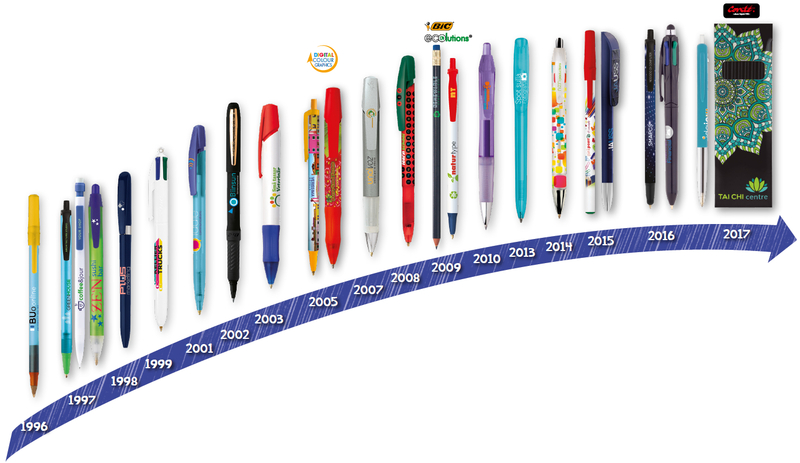 In the sixties some customers started to request BIC® Writing Instruments personalised with their logo. 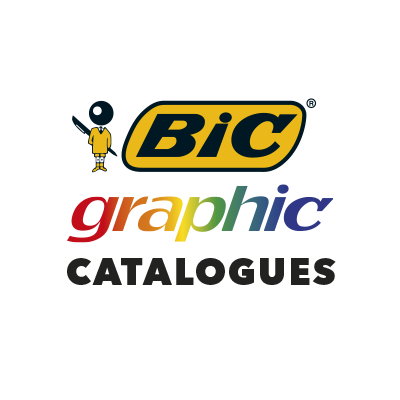 In the following years more and more orders came and in 1969 the BIC Graphic division was formed in Europe. With its quality and the affordable price quickly became a success. 2002 BIC® Grip Roller 2003 BIC® Media Max 2005 Digital printing was launched in BIC Graphic. In 2004 the BIC® Sticky Notes family was launched, recognized by customers as the best complement for their writing instruments. 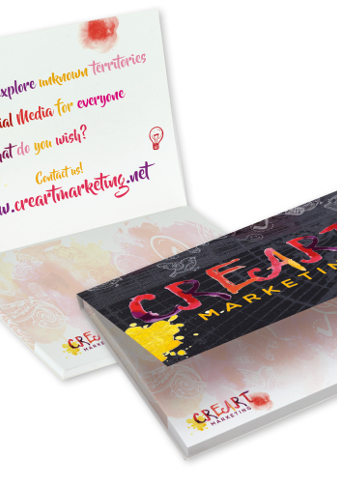 BIC® Booklets, a great set combining an adhesive pad and a BIC® pen together in a unique item. Brilliant, Matt soft-feel, or Pattern finish? Choose the laminated finish that best dresses your message! After more than 10 years of experience, we have developed the best paper companions for our recognized BIC® pens, looking to offer the same excellence in terms of quality and service. 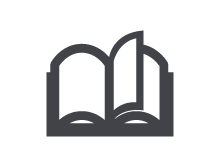 BIC ® Sticky Notes pads are made of FSC certified paper and water based glue and together with the Ecolutions® range, we offer a solution for all companies that want to bring their social and environmental responsibility to any corporative action including their communications. 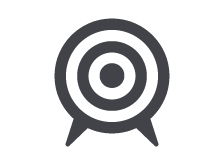 Our BIC® Sticky Notes range offers creative communication solutions for all types of budgets. 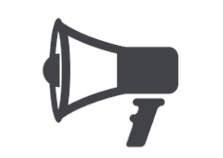 Our full colour printing capabilities ensures your freedom of expression. 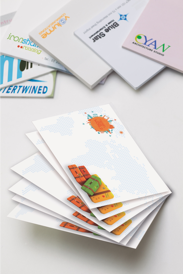 Choose from any size of adhesive notepad, die cut shape, scratch pad or our exclusive booklets sets to maximize your communication. Within these 11 years of BIC® Sticky Notes history, more than 51 million units have been sold. 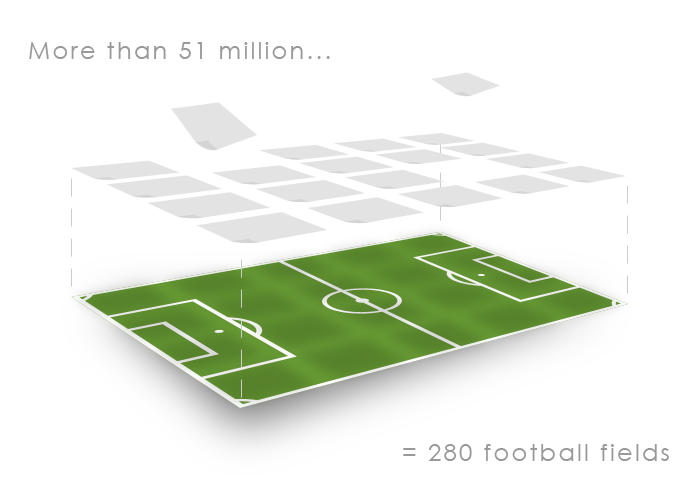 The equivalent surface of 280 football fields!